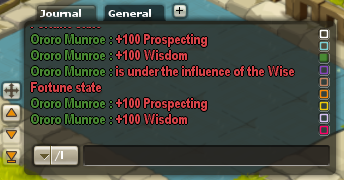 Game interface - WAKFU Tutorials - Learn to Play - WAKFU, The strategic MMORPG with a real environmental and political system. The chat window allows you to talk to your friends and other players, receive important updates about what’s happening on your server, and view a log of the spells that you, your allies and your enemies have cast in battle. Advanced options allow you to communicate in private, sort your messages, and check how many players are currently online. The buttons at the bottom left of the screen allow you to consult your character’s stats, inventory, spells, and quest list, as well as your Nation’s political situation, your Sidekicks and even your friends list. 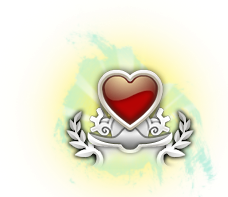 At the bottom of the screen, in the middle of the interface bar, you’ll find a heart representing your Health Points. 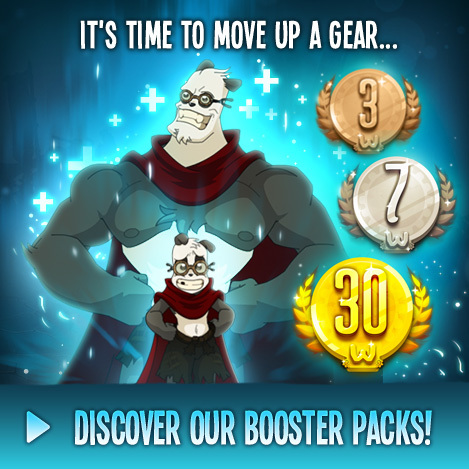 Just below that is your Wakfu/Stasis gauge, which indicates your alignment. Each act of creation (planting seeds, introducing species, etc.) 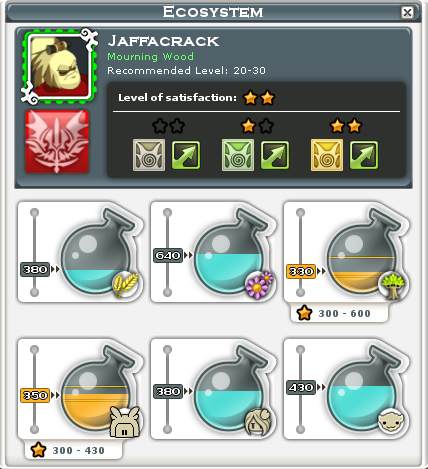 earns you Wakfu points, whereas acts of destruction (killing animals, chopping down trees, etc.) will generate Stasis points. Finally, the Citizenship gauge measures how active you are as a citizen of your Nation. You can find more information about this in the Politics section. 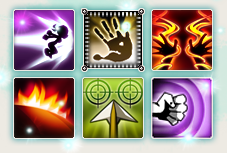 During fights, your Action Points (for casting spells), Wakfu Points (for casting certain powerful spells) and Movement Points (for moving around in battle) are also displayed here. You use this bar for casting spells, so it’s up to you to put the spells you’re going to need here. You can also display several spell bars at once to ensure your entire arsenal is on hand! Simply drag icons from the Spells menu and drop them onto this bar. When you click on the number, an extra spell bar will appear. One click of the mouse, and the spell bar becomes a general shortcut bar! Store emotes, consumable items and resources here for easy access. At the top right of the screen, you’ll see a picture of the area’s Clan Member. If you click on the three little icons underneath this picture, you can find out more about their wishes concerning the ecosystem, check the weather forecast for your crops, and see details about the Clan Member, including their name, profession and more. 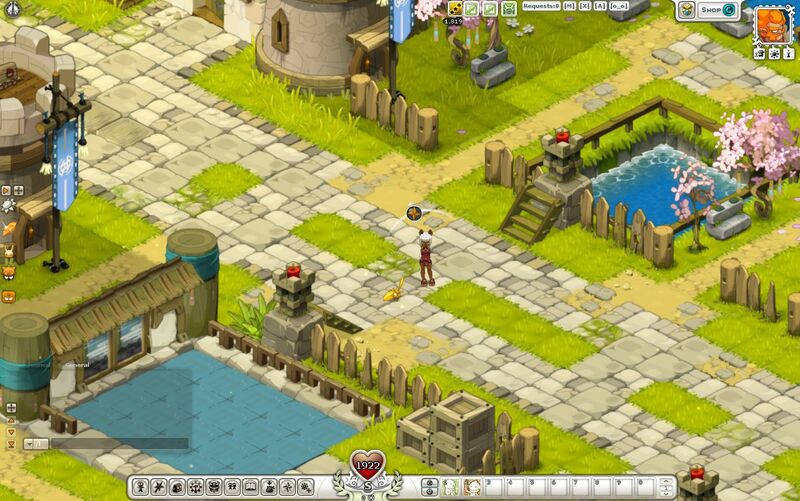 At the top right of the screen, you’ll find the WAKFU online shop. 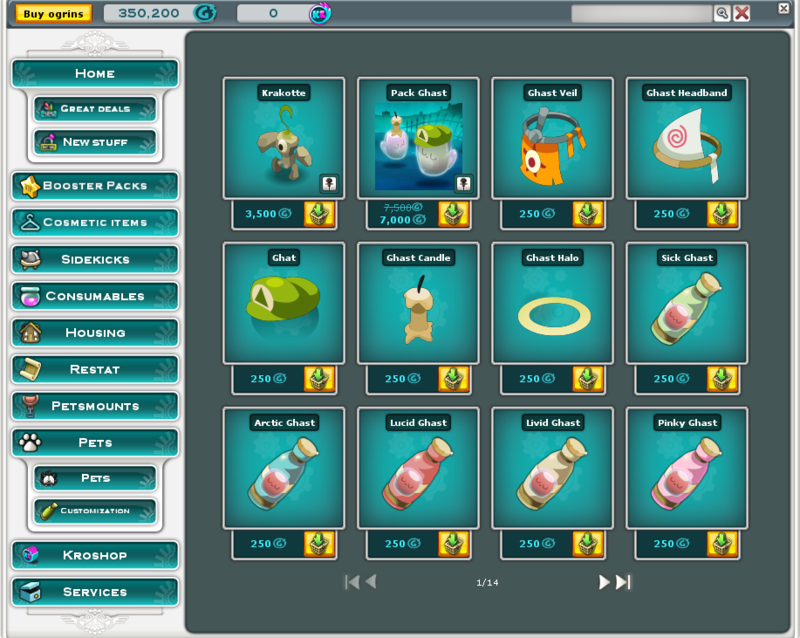 In the shop, you can buy various in-game items including costumes, decorations, Sidekicks and pets. At the top right of your screen, just next to the shop, you’ll find the gift interface. If you have received a gift or bought an item using Ogrines, the little gift icon will appear.